Fantastic packaging and very pretty paper. The butterfly with the bling is so pretty! 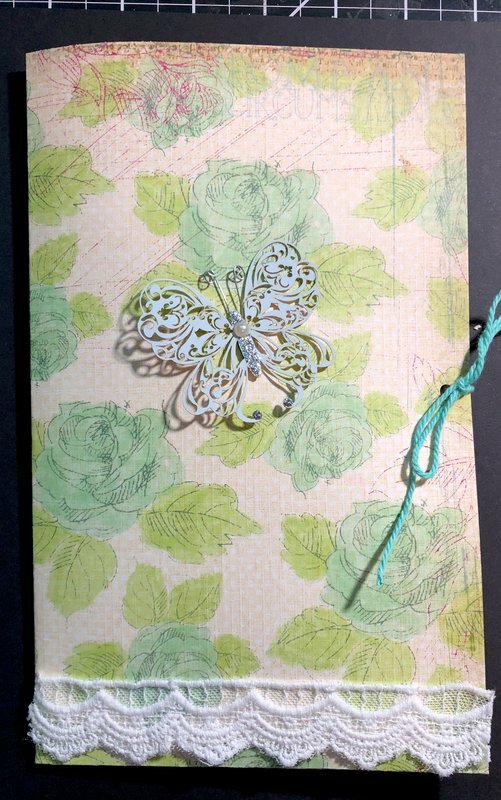 Pretty butterfly, paper and lace! Beautiful!!! Love all the dies! So soft and pretty! Love that butterfly and your closure and oh that pretty lace! Such pretty lace on this. That butterfly is so delicate and pretty. Really lovely, love the pps too!